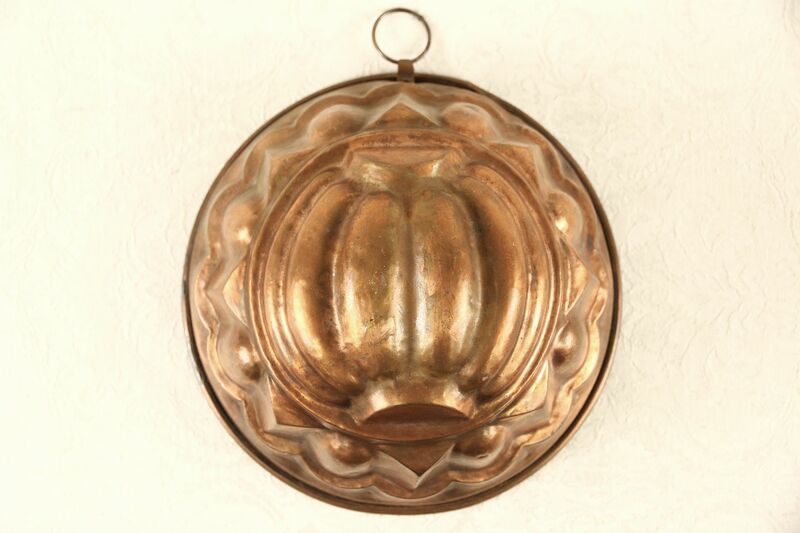 Around 75 years old, this solid copper mold has a melon or gourd motif. Hand hammered, the interior has a tin wash. There is a hanging loop and size is 9" diameter and 5" deep. USPS Shipping is $12.00 in the US.